Description: Please join us for a discussion around dementia resources with other faith leaders! We know that many of your faith communities have aging members and families who are caring for loved ones with dementia. In light of this growing need, we at Insight Memory Care Center wanted to bring faith leaders together to discuss the challenges in their houses of worship, the way they address the challenges, and share resources about services that are available in the community to support those living with dementia and their families. We will also offer a tour of Insight to those interested. Discussion will be led by Rev. Barbara Minor, Associate Pastor and Director of Worship at Floris United Methodist Church, and Stacey Crosson, Minister of Care and Outreach at Prince of Peace Church & School. 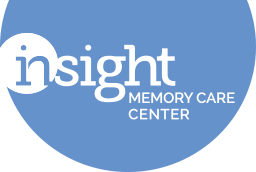 This program is offered by Insight Memory Care Center free of charge. All faith leaders and faith community members who are interested are welcome to attend. This form stopped accepting submissions on November 13, 2018 8:30 am EST.